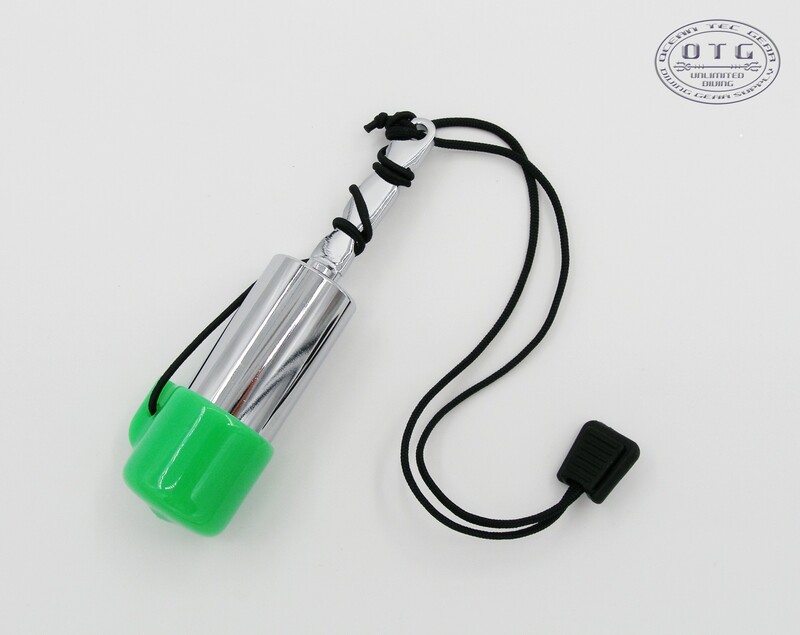 OTG Scuba Diving Tank Rattle is a simply, reliable and long lasting tool for divers who would like to get quick and effective attention of your buddy, student or comminucation with other divers. Just simply shake the Rattle and it will make a nice and loud underwater sound. 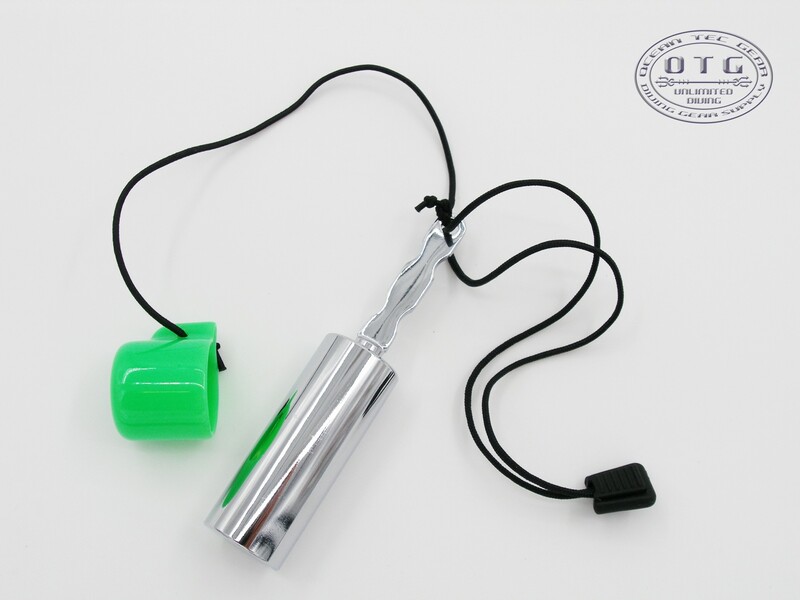 The rattle comes with a muffler cap for divers to over the rattle in order to prevent noise when not in use. - Nice and loud underwater sound. - To get attention of your buddy, student and another divers. 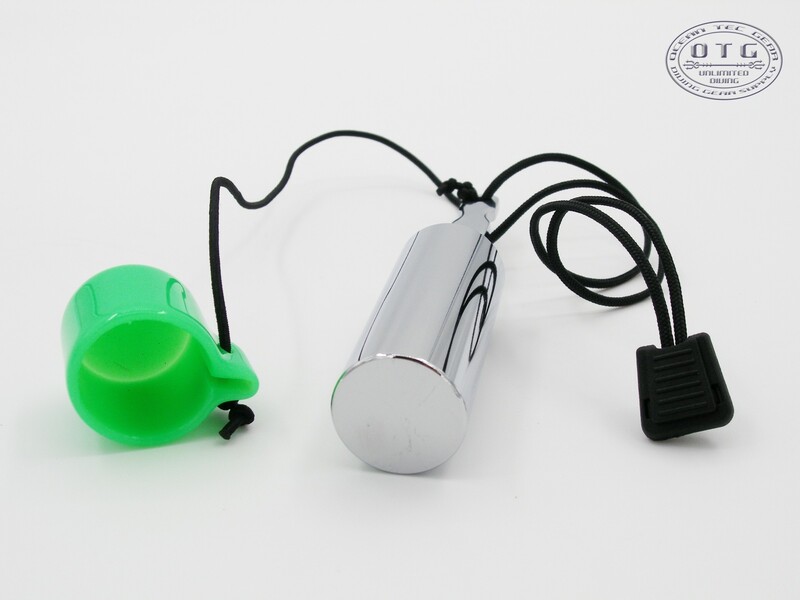 - Use muffler cap to cover the rattle to prevent noise when not in use.